Turn to ElectricMasters for all of your commercial electric needs! Regardless of what industry you are in or what your company does, chances are, you rely on your electricity to get the job done. Luckily, you have ElectricMasters on your side. When it comes to electrical contractors in Cincinnati and Northern Kentucky, there’s no better name in the business. We’ve been serving our commercial and residential customers alike for over 20 years now, and we have maintained an A+ rating with the Better Business Bureau since 1999. 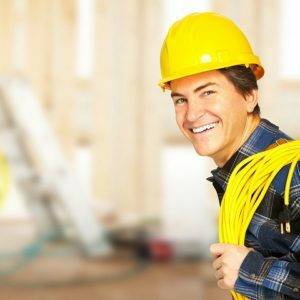 Don’t rely on just any commercial electrician for your business. Since you rely so heavily on your electricity, when there’s an issue that needs to be addressed, you shouldn’t settle for just any commercial electrician. The fact of the matter is that you need your electricity to be back up and running quickly, and if you hire the wrong electrician, you probably won’t get the effectiveness or the efficiency that you deserve. Because we’ve been the go-to electrical company in Cincinnati for over 20 years, we understand the need for fast, effective service. We are dedicated to being there when you need us the most. We even offer emergency electrical service 24 hours a day, seven days a week. 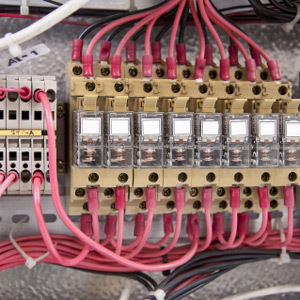 With us, you’ll get the prompt, accurate commercial electrical service you need. We’ll even go above and beyond by working directly with your insurance company so that you don’t have to. Here at ElectricMasters, we are proud to say that we have all of your commercial electrical needs covered, no matter how big or small they are. Contact our commercial electrical contractors today!